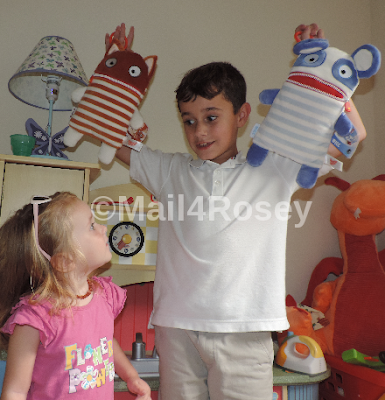 Mail4Rosey: Zip Your Worries away with these Cute, Plush Worry Eaters! Zip Your Worries away with these Cute, Plush Worry Eaters! Dislcosure: This is a sponsored post. All opinions stated are genuine and my own. The kids thought these were cute (and they are cute) but they're so much more than that too. Designed with a zipper mouth that allows you to tuck a piece of paper inside, these Worry Eaters will eat the worries of your child/ren so that their worries are no more. My granddaughter says she's scared of thunderstorms. With the Worry Eater in the house, she can now just open up the Worry Eater's mouth, stuff the paper she wrote her 'worry' on into his mouth, zip it and he will take over her worry for her. It works like a charm. Ahhh if things were so simple and yet so effective in real life, eh? I am guessing every little one you know has at least one worry. This would be a great way to help them overcome it. It's also a great holiday gift idea. “Feed me,” is the silent wish of every Worry Eater who winds up in an American home. Brought to the U.S. by The Haywire Group, the popular German plush, with big eyes and a zippered mouth, has been chowing down on “worries” written on a piece of paper by children everywhere. A simple and extremely appealing concept noticed by toy experts everywhere, including recognition in the November issue of Parents magazine which just named Worry Eaters, $15.99 (S) and $22.99 (L), to its Best Toys 2015 list. My attached press release has details. Each character boasts round, understanding eyes, soft bodies and a mix of two, three or more ears or horns! Worry Eaters are kind and cuddly in both good and bad times. Each arrives with a tag that tells its name. With Enno's two pointy ears or Saggo's five tall striped ears, these pals create opportunities for children to talk to parents or other grownups. 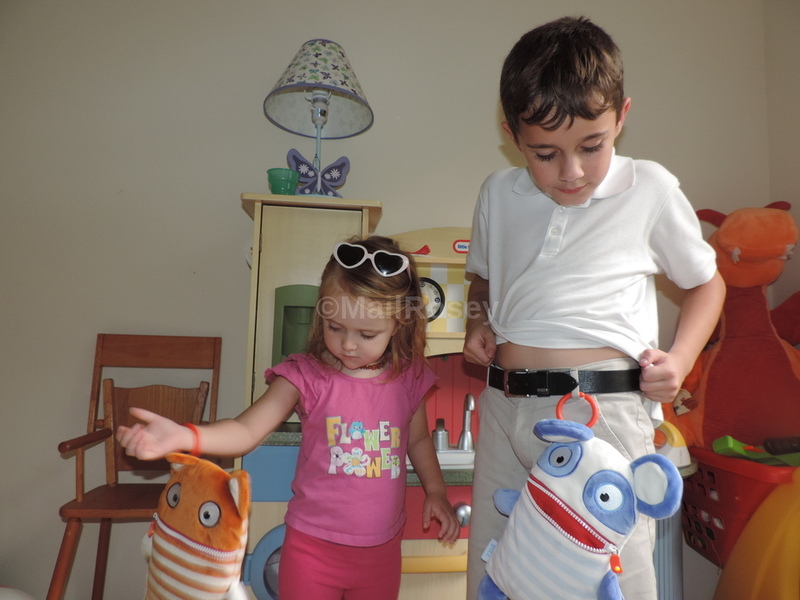 These plush friends offer lots of reassurance to children that someone is always there to help. Take a look at how MANY awards these little helpful guys have earned already in this first year in the US! You can learn more about the Worry Eaters by visiting the website. You can also follow them on Facebook and/or Twitter. Gee. I wonder if those could help me with my worries. I really like this idea. You don't always know what is troubling a child-but ith this thy might open up-you can wrote it down for them and them let the worry eater gobble it up! These are such a cute and unique idea to help kids who worry. I need to consider getting Tyler and Alyssa one or even Abby although she never seems to worry about anything. I wish I could be more like her. What an adorable concept! I love it. I would love to give these as gifts for Christmas! I really like the idea behind these. Kids would really take it to heart and think it works! I love the concept of these! I think every child should have a Worry Eater to help ease their fears! Hi Rosey, what a cute idea. Your son is getting so big and the kids seem to like the stuffed toys. I hope you have a nice week and are feeling better. These are too cute. I like the idea of giving these worry eaters to kids. Oh my the 1st photo of your son and grand daughter is so CUTE! I bet they love being by one another. The worry eaters are fun! This is a good product and idea too! I wish I can have a dozen of these cute little worry eaters. How cute! I'm sure my kids would love this! What a cute idea/product! My grandsons would love to each have one! They look soft, too! This is a really interesting concept. I know my kids would like how cute they are, but I'm wondering if they would actually make them feel less worry. They would probably zip real food in the mouths...haha! to include your blog amongst what i read each day simply because you've got powerful entries that I enjoy. São, desta maneira, excelente para emagrecer.